Lullaby is a theme result of my biggest hope and doubt. I mean: in early 1994, Marta, my wife, told me she was about to wellcome a new family member: our first child. I was so happy I didn't doubt and said yes, but after that doubts came: Am I qualified to be a father?, Will I do it well?, and everything that sounds familiar to many of you. The thing is that when we had confirmed, end of summer, the arrival of our first son in spring, before him, was born this theme, result of my great excitement and also, why not say it, my doubts. 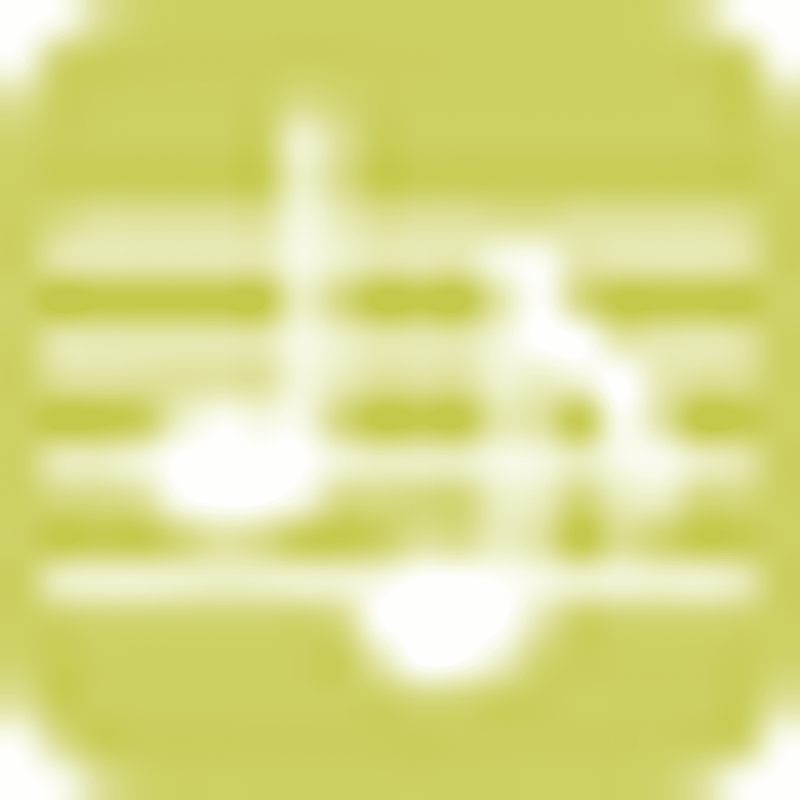 Nana in its origin is a simple theme, in two short verses, of simple melody, easy to memorize and to sing, and a tessitura affordable to all, with an extension of 6th between low note (central do) and high note, so it is designed to be sung by anyone. Its meaning is to do as lullaby to make the children sleep. And so we have used it, Marta and me, during all the years where Aniol as well as Aina (our two children) have asked it us, which it has been many years, that's because I always say this is my most interpreted work! In fact, both Aniol and Aina, their mother already sang them this song when they were inside the womb, together with concert nr. 21 for piano by Mozart and music from George Delerue for the film Rich in Love, our musical preferences on that time. Some years later Aniol was born, when we dind't sing him no longer this theme before to sleep, I was in my studio practicing the piano the new arrangement of the theme to incorporate it to the CD Glimpses, making it longer as it is currently for making this simple melody a bit more comprehensive for everybody, and also to take it out of the domestic sphere where it had always lived. 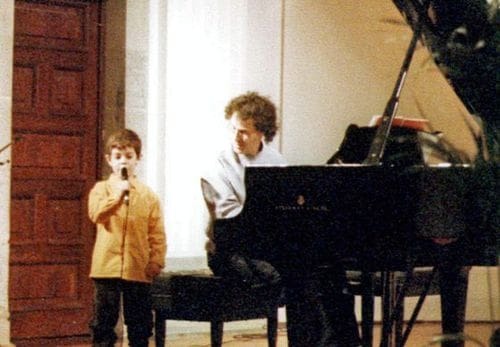 Aniol, at that time 5 years old, bounced into my studio puzzled, because he remembered his theme we sang him when he was little, and we thaught he didn't listen to us! 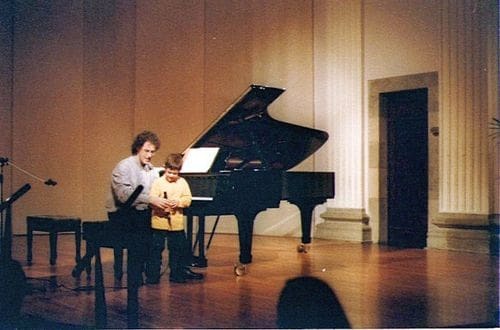 He asked me what was that I was playing on the piano, and I explained him. Since then, and on his request, we turned to sing it before going to sleep for some more years. 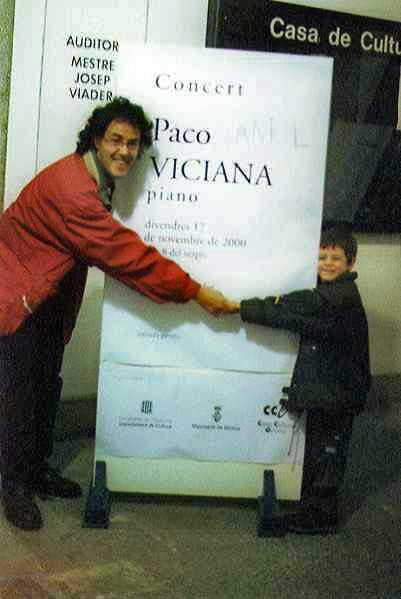 Its premiere on the stages was very emotional, because Aniol himself interpreted it, then 5 years old (cover photo of the work), in the Viader Auditorium of Girona, as a tip of my piano concert. I have made some arrangements from the theme for several instrumental groups, because it's a theme that has has always much success. 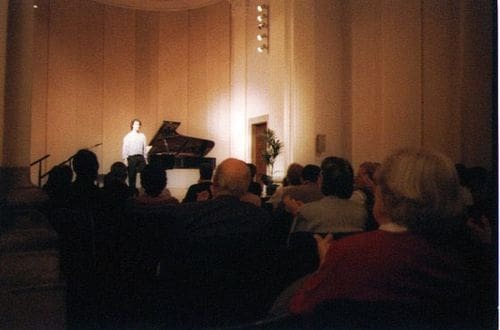 I invite you to listen every arrangement I have make, but especially a sound archive that has for me a very special value: the recording of Marta's voice in its daily interpretation she made whe our children went to sleep. The genuine and original version of the theme, interpreted by singer who has given more success. But don't fall asleep.